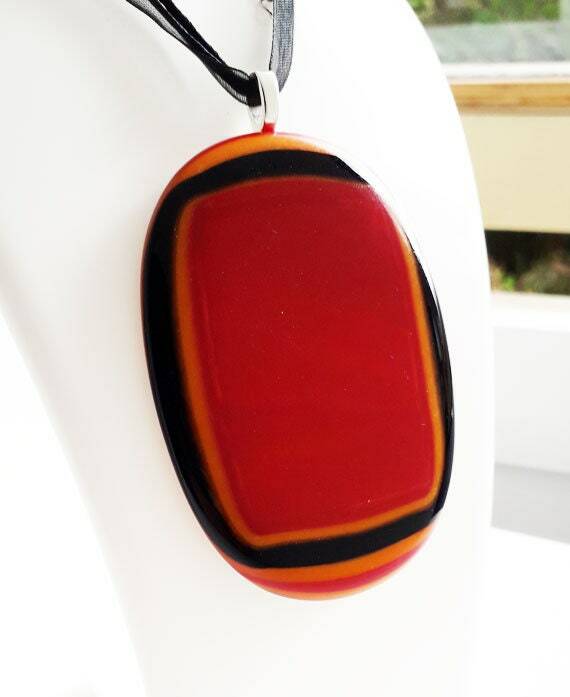 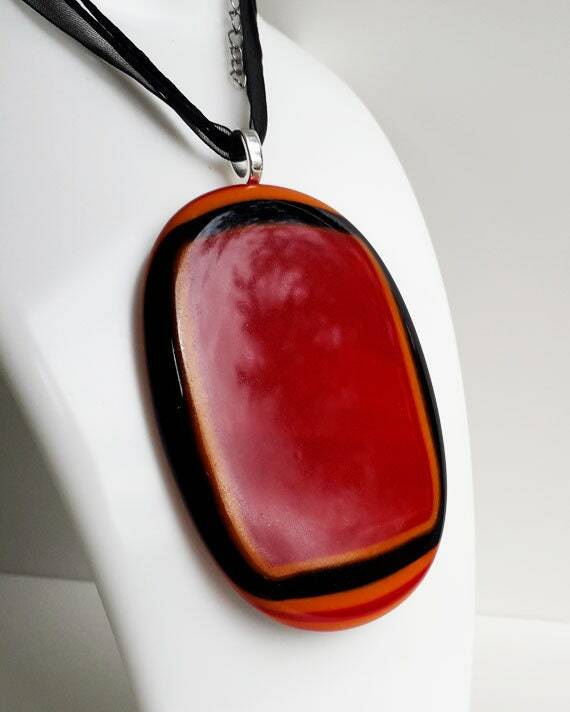 XL fused glass pendant, red, orange and black fused glass necklace XL ginormous size! 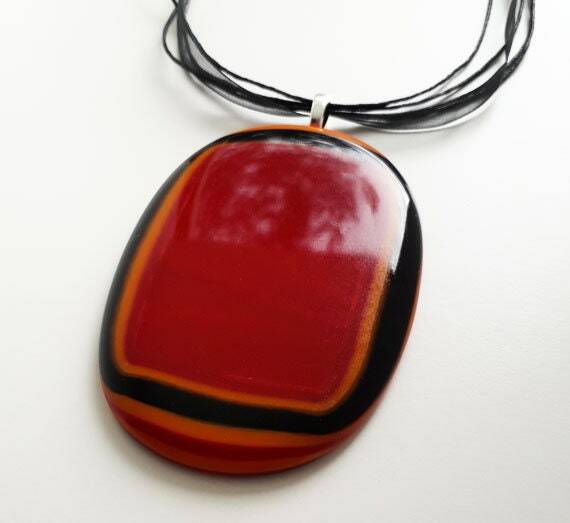 This is a humungous fused glass pendant! 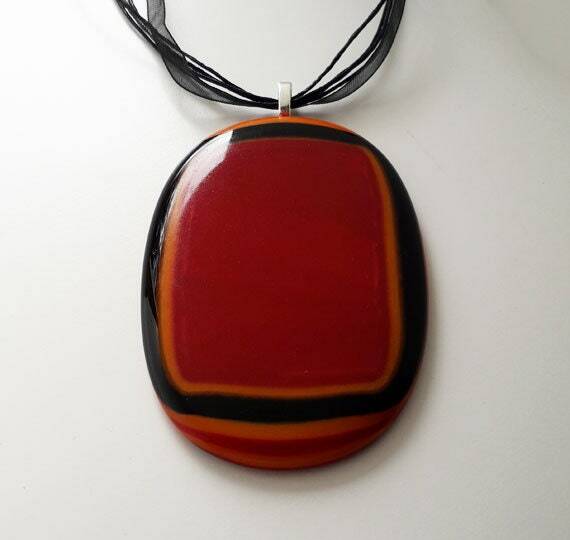 Mostly red glass, with orange and black outlines.It's extra big and therefore a touch heavier than my usual pendants, but still very comfortable to wear. 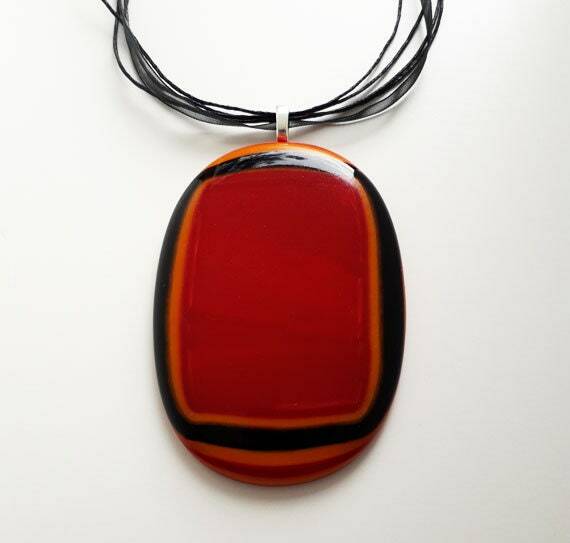 It's about 85mm long and 60 mm wide, in a roughly oval shape. 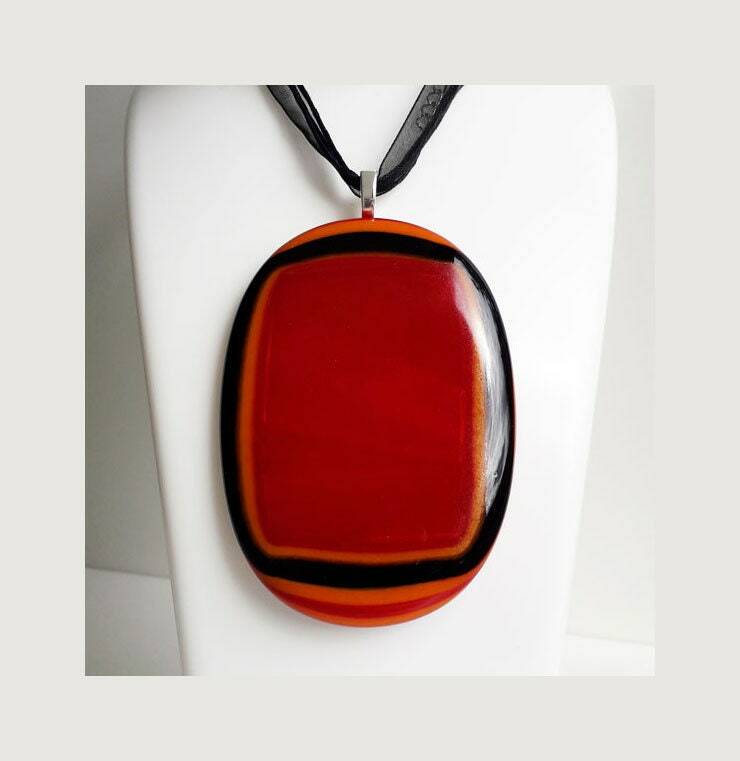 It hangs on a large silver plated bail, and an extendable ribbon and string necklace.